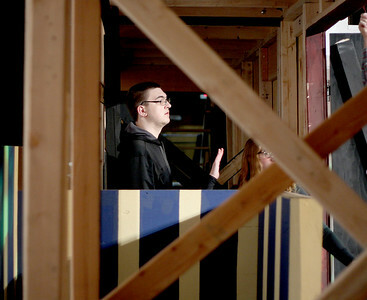 Sarah Nader - snader@shawmedia.com Stage crew member Anthony Schuett, 16, walks around the stage while prepping for Monday's dress rehearsal of "Legally Blond the Musical" produced by Jacobs HIgh School February 9, 2015. The story is based on the novel “Legally Blonde” by Amanda Brown and the 2001 film of the same name. Performances are Thursday, February 12 through Saturday, February 14, at 7:00 pm and Sunday, February 15 at 1:00 pm with tickets $10 a person. Sarah Nader - snader@shawmedia.com Kayla Lewis, 15, of Algonquin puts on makeup for Monday's dress rehearsal of "Legally Blond the Musical" produced by Jacobs HIgh School February 9, 2015. The story is based on the novel “Legally Blonde” by Amanda Brown and the 2001 film of the same name. Performances are Thursday, February 12 through Saturday, February 14, at 7:00 pm and Sunday, February 15 at 1:00 pm with tickets $10 a person. 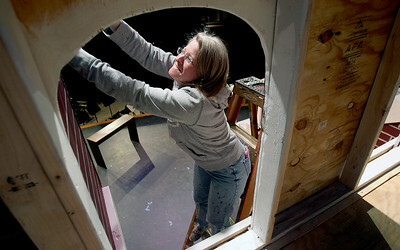 Sarah Nader - snader@shawmedia.com Volunteer Ann Sullivan of Algonquin finishes up painting before Monday's dress rehearsal of "Legally Blond the Musical" produced by Jacobs HIgh School February 9, 2015. The story is based on the novel “Legally Blonde” by Amanda Brown and the 2001 film of the same name. Performances are Thursday, February 12 through Saturday, February 14, at 7:00 pm and Sunday, February 15 at 1:00 pm with tickets $10 a person. 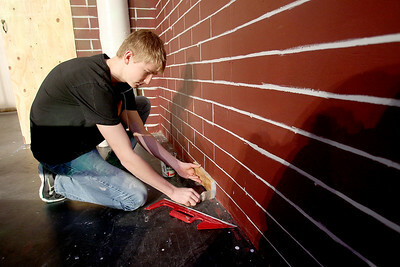 Sarah Nader - snader@shawmedia.com Stage crew member Braedon Harder, 16, of Carpentersville finishes up painting before Monday's dress rehearsal of "Legally Blond the Musical" produced by Jacobs HIgh School February 9, 2015. The story is based on the novel “Legally Blonde” by Amanda Brown and the 2001 film of the same name. Performances are Thursday, February 12 through Saturday, February 14, at 7:00 pm and Sunday, February 15 at 1:00 pm with tickets $10 a person. 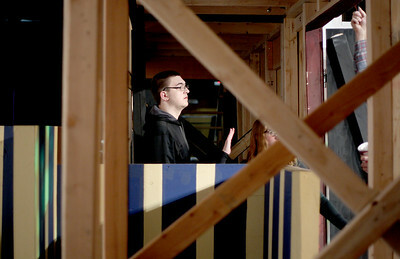 Stage crew member Anthony Schuett, 16, walks around the stage while prepping for Monday's dress rehearsal of "Legally Blond the Musical" produced by Jacobs HIgh School February 9, 2015. The story is based on the novel “Legally Blonde” by Amanda Brown and the 2001 film of the same name. Performances are Thursday, February 12 through Saturday, February 14, at 7:00 pm and Sunday, February 15 at 1:00 pm with tickets $10 a person.